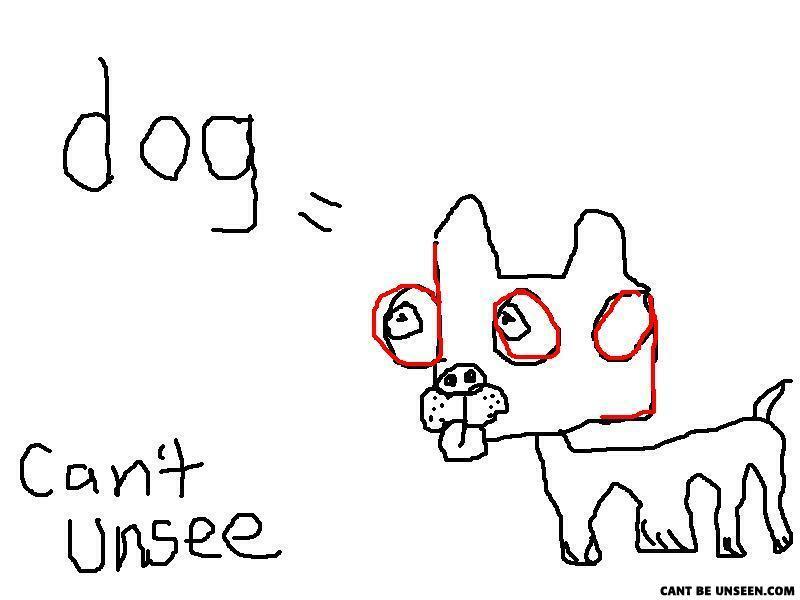 because thats what all dogs, and dog drawings, look like. is this drawn by a 3 years old? It's that third, pupil-less eye that I can't unsee. The horror, the horror! The one by WordToons is better. Your mother needs to apologize to the world for spawning you. WHY IS THERE A HOLE IN ITS HEAD?!? -Are you free anytime soon?